Comedian and actor Felipe Esparza got his start as a comedian all because someone asked him to list 5 goals in life. During a stint in rehab before he was 21, Felipe was asked what he wanted out of life. As a young immigrant growing up in the projects in Boyle Heights (East L.A.) and then as a teenage father with a drug and alcohol problem, it was a difficult task because he had never thought that far ahead. Among the items on that list, "to be happy", and "be a stand-up comedian" - because of how he connected to an old Bill Cosby album when he was younger. Up until that question, Felipe was under the impression that life was over at 18. If you had told him back then that all this life experience would one day make people laugh, he wouldn't have believed it. From being raised in the projects in a family of 9 living in the most gang-infested neighborhood in the country to winning NBC's "Last Comic Standing", to selling out live comedy shows all over the country and being able to act in TV shows and movies, Felipe's life has been anything but boring. He worked for years as a stand-up comedian, opening on the road for fellow comedians such as Gabriel Iglesias and Paul Rodriguez, then took a leap of faith and went out on his own - which led to very little income and opportunity at first. After the 16-year "overnight success" of winning Last Comic Standing, Felipe went on to produce his first hour long stand-up comedy special, "They're Not Gonna Laugh at You" (now on Netflix). He has also made several TV appearances such as recurring roles on "The Eric Andre Show" and NBC's "Superstore", TruTV's "World's Dumbest" and "Russell Simmons Presents Stand-Up at the El Rey" and was the spokesman for a national Honda campaign and a national Target Mobile campaign. During his early years as a comedian, Felipe was part of the successful stand-up comedy TV show, "Que Locos" on Galavisión (the only English-speaking show on Spanish television). That show and the resulting tour helped launch the careers of several other Latino comedians such as George Lopez, Gabriel Iglesias and Willie Barcena. Today, in addition to his live stand-up touring, Felipe hosts a weekly podcast on the All Things Comedy Network called "What's Up Fool?" that focuses on interesting stories from just about anybody. From renowned author and humanitarian Father Greg Boyle from Homeboy Industries, to actor Damian Chapa (Miklo from Blood In, Blood Out), to the lead detective on the Night Stalker serial killer case, to actor Emilio Rivera (from Sons of Anarchy) to even the "Incredible Hulk" who takes photos with tourists on Hollywood Blvd., Felipe believes everyone has a story to tell about how they got where they are, no matter who they are. Recently, Felipe produced his second hour-long stand-up special with his wife Lesa, entitled "Translate This”, premiering on HBO September 30, 2017. 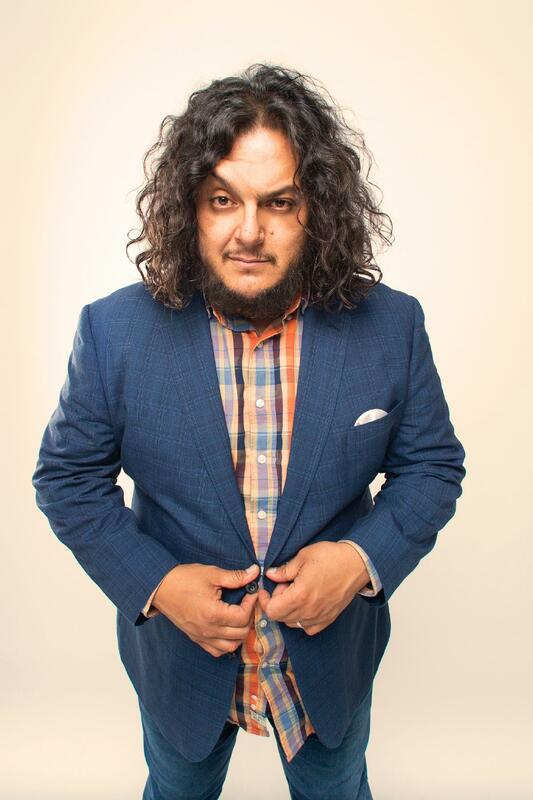 He is also developing a sitcom with fellow comedian Dustin Ybarra and writers Bobby Bowman and Peter Murrietta - Felipe and Dustin will play brothers in a single-camera comedy to be produced by 3Arts Entertainment. He also continues to do live stand-up shows in comedy clubs and theaters around the country.